Hard to believe that everyone’s favourite ninja, Naruto, has been entertaining everyone at Leaf Village for 10 years but how time flies. And an amusement park in Japan feels the exact same way by having several Naruto themed rides and attractions for this year. 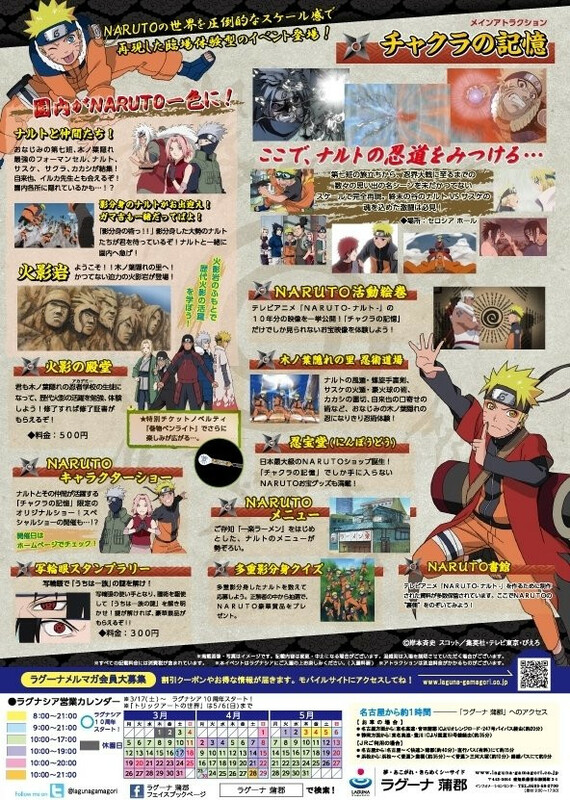 Beginning on March 17, the theme park Lagunasia sitauted in Gamamori, Japan will be having faithful reproductions from the Naruto universe ranging from Team 7 setting out to the Shinobi World War arc which regular Naruto readers may remember from chapter 515 from the manga. 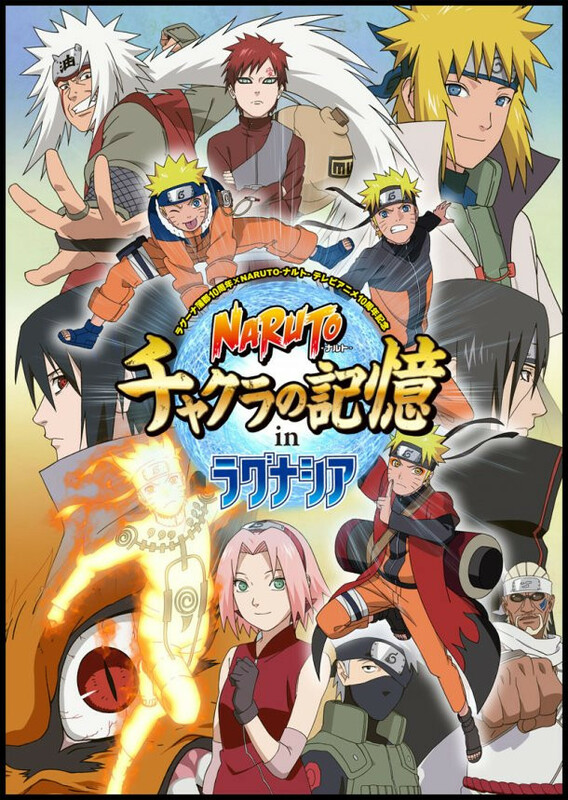 The main attraction features a fierce battle between Naruto and Sasuke at the end. Just like you remember from Hidden Leaf Village, the rock carving will be reproduced in the park. Learn about the activities of past Hokage at ninja school and even earn a diploma. Everywhere you look, tons of Narutos amassed in one spot. Gamakichi will be there, too. Meet Naruto, Sasuke, Sakura, Kakashi, Jiraiya, and Iruka. See an exclusive no-credit version of animation spanning all of Naruto‘s 10 years. Become a ninja and try out various moves like Naruto’s Wind Style: Rasen Shuriken and Sasuke’s Fire Style: Fireball Jutsu. Become a sharingan user and solve the “Uchiha Family Mystery” to receive a prize. A making-of exhibit where you can learn what goes on behind the scenes of the Naruto anime. A live event with scenery and everything. This is scheduled to run only through July 2nd, so better go early if you’re interested. A full line-up of Naruto-themed food including, of course, Ichiraku Ramen. Everything that was mentioned above can be found in the handy sheet below. The event will run through til September 2nd and tickets can be pre-purchased from Lawson convenient stores, which will get you a handy “Memories of Chakra” picture scroll with a scroll pen light thrown into the mix. You an expect to pay from ¥1,600 to 700 which is dependent on age however there are more expensive tickets available.